Doughnuts are my kryptonite. My work colleagues are doughnut addicts but I can't eat them so I decided it was time to create an allergy friendly version. 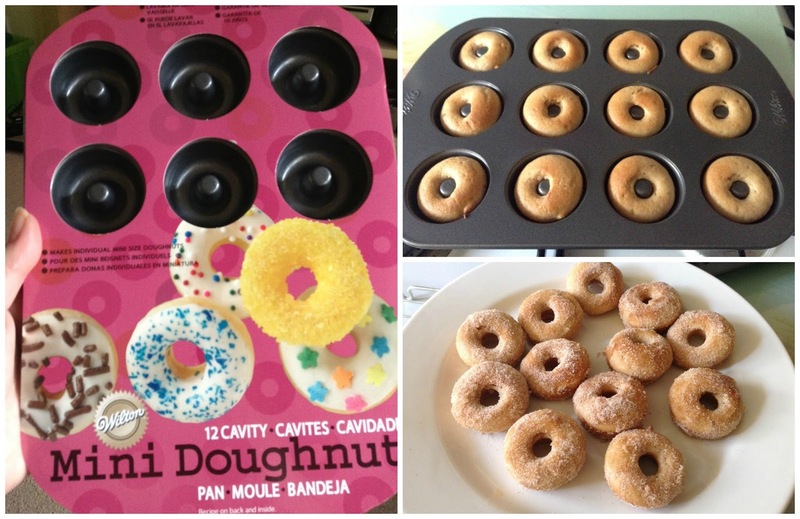 I did some research, selected a recipe and bought a doughnut pan from Amazon. I decided on a baked version rather than fried. The recipe I used is from HERE and I chose to coat in cinnamon sugar rather than glaze. They were very tasty and were only on the plate long enough for a picture. It's not Krispy Kreme but that's okay with me. I will definitely keep experimenting with recipes, it will be a tough job but I'll force myself. wow, they look delicious & they seem so easy to make too! Thanks for sharing! :-) I like doughnuts, but I've always fried them and I think that is a bit of a job. It's easier to bake them, - they sell doughnut pans at Ebay as well so I think I'll purchase one from them. the biggest decision to make is do you choose mini or large size doughnuts? I need to try this out :) I love doughnuts!